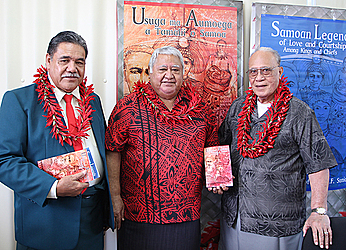 Prime Minister Tuilaepa Sa’ilele Malielegaoi has launched Fofo Fiti Sunia’s latest book called the “Samoan Legends of Love and Courtship among Kings and Chiefs (Usuga ma Aumoega a Tamali’i o Samoa)”. The launch was held at Samoa Stationery and Books on Monday. Prime Minister Tuilaepa congratulated Fofo for the book saying such publications are important records of history. “I had a quick read of the book and I saw many stories that will be useful for the young generation of the country,” he said. Tuilaepa said the book will even be useful to some seasoned orators who often get the origins of Samoa’s myths and legends in their speeches. 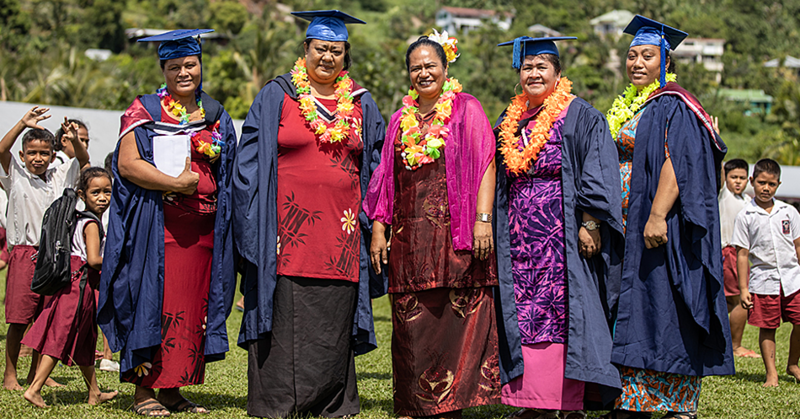 The book tells of the courtship styles and romantic love of the Chiefs of Samoa. Fofo said the book is a picture of Samoa in the past. “The idea is to bring out the old customs that no longer exist. 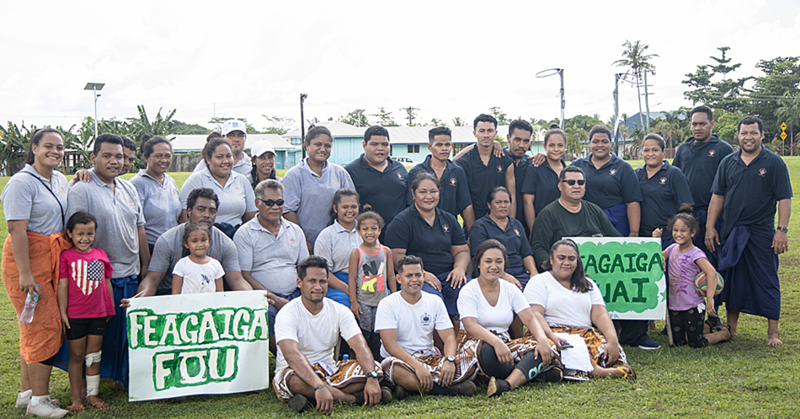 ‘Aumoega & Usuga’ is a beautiful custom,” Fofo told the Samoa Observer. “[And] I thought if we gathered all the stories and put them all together, it will not only create a lot of interest but it will bring a lot of useful knowledge for the younger generations." “Most of them have never seen or heard of the ‘usuga & aumoega.’" As a matter of fact I didn’t see any myself but I think it’s one of our basic culture because had it been not for the ‘usuga’ most of us wouldn’t be here and that is the purpose of this book." The book is Fofo’s ninth publication. Born on 13 March 1937, Fofo was the first non-voting delegate from American Samoa to the United States House of Representatives. He was born in Fagasa, Pagopago and attended the University of Hawaii. Fofo was the administrative officer for the Samoan Affairs-liaison functions for the Governor of American Samoa and served as a translator and interpreter and an election commissioner from 1964 and became director of tourism for the Government of American Samoa in 1966, serving until 1970. Fofo was elected a territorial Senator in 1970 and was member of the legislature until 1978. 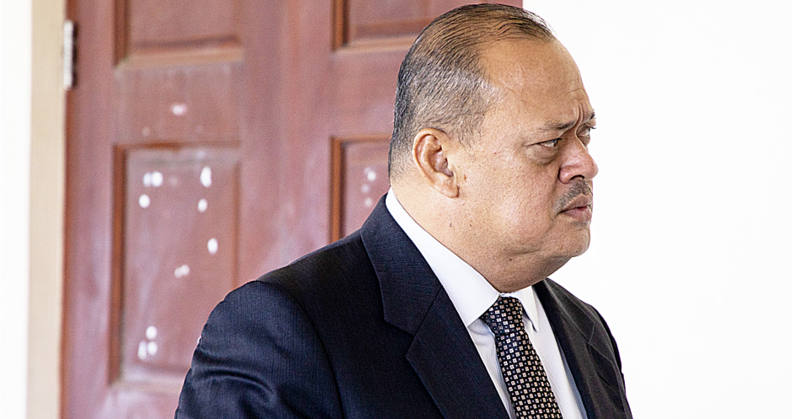 He also formerly served as president and chairman of the American Samoa Development Corporation. Sunia was elected as Democrat to the United States House of Representatives and served from January 3, 1981 until his resignation on September 6, 1988. The book comes in both English and Samoan and if you want to get a copy of the book visit the Samoa Stationery and Books at Togafu’afu’a.